The more I bake, the easier it gets when I have a pantry filled with all the ingredients that I need. There's nothing more frustrating than to get inspired about baking something yummy and then discover you don't have all the things you need. So I've been keeping an eye on what I have in the pantry and jotting down something when it starts getting low as a reminder to myself to pick up whatever it is the next time I'm at the grocery store. And if you knew me, you'd be highly impressed because I'm sometimes the type of person who is out of butter just when it's time to put some on your toast. Yesterday I decided it was a great day for making chocolate cake, what day isn't great for chocolate cake, right? I'm discovering that whenever I use sour cream as an ingredient in a cake, it's usually extra moist. This recipe uses sour cream, and I'm convinced that's one of the reasons why it tastes so good. And it's a Martha Stewart recipe and I can pretty much count on her recipes turning out well. 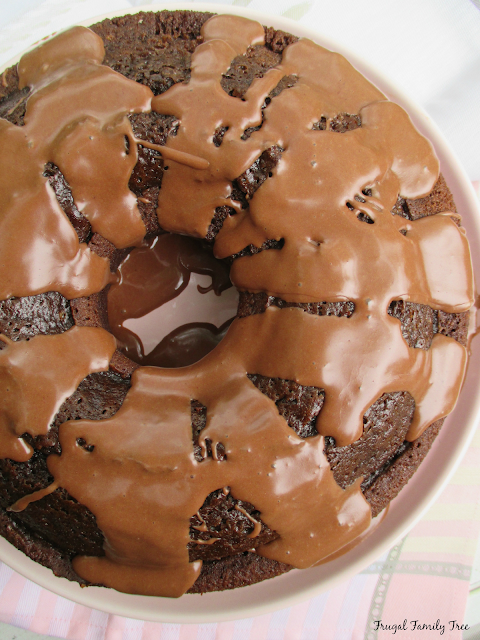 This cake is pretty easy to make, and has a rich chocolaty flavor that you'll love. You can make it in a Bundt pan or a tube pan. I actually have a tube pan that the cake just lifts out and that's what I used for this cake. It serves about eight good sized portions. We ate it for dessert and had some left over and it was equally moist and yummy the next day. Preheat oven to 350 degrees. 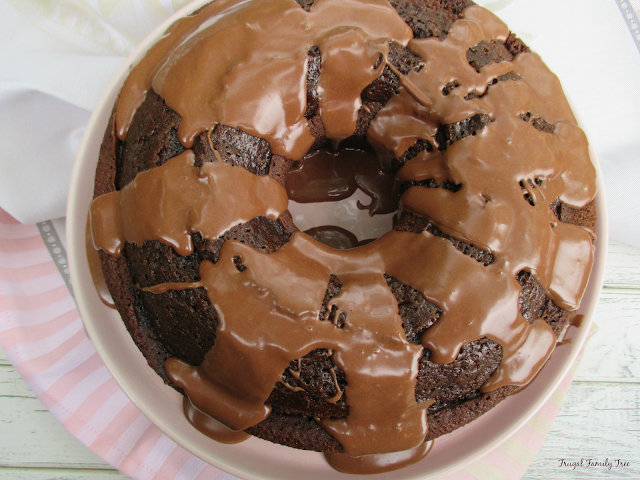 Spray a Bundt or tube with non-stick baking spray. In a large bowl, whisk together flour, cocoa, baking soda, and salt. Mix together milk and sour cream in a measuring cup. With an electric mixer on medium-high speed, beat butter and sugar until pale and fluffy, 3 to 5 minutes. Add eggs, 1 at a time, beating well after each addition; add vanilla. Reduce speed to low; add flour mixture in 2 batches, alternating with the milk mixture and beginning and ending with the flour; beat until just combined. until just combined. Transfer batter to prepared pan; smooth top with an offset spatula. Bake until a cake tester comes out clean, about 55 minutes. Transfer pan to a wire rack to cool completely.